All these accents and touches enhance the luxurious vibe of the new Mercedes-Benz C-Class cabin, so you feel like you’re sitting in the lap of luxury without breaking the bank. We appreciate your interest in our inventory, and apologize we do not have model details displaying on the website at this time. Please fill the form out below and our team will quickly respond, or, please call us at (855) 474-0585 for more information. Burmester® Surround Sound System: This optional equipment gives you a precisely-engineered 13-speaker system, delivering crystal-clear surround sound while compensating for outside noise. Apple CarPlay® and Android Auto™: Use this available tech to access all your favorite smartphone apps and functions directly through the command console. Power Front Seats with Driver-Seat Memory: This feature lets you adjust the seats to your exact comfort, and even remembers the driver’s preferred settings for easy access. And this is just a small handful of the kind of features you’ll get with the new 2018 Mercedes-Benz C-Class. 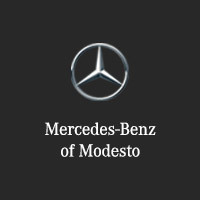 To experience the C-Class for yourself, come on out to Mercedes-Benz of Modesto. Check out our diverse inventory and range of new vehicle specials to get started, and then contact us online to discuss your financing options or schedule a test drive!